Using home video footage, interviews, animation and Cobain's own diaries, Cobain: Montage Of Heck paints a fascinating portrait of a hugely talented musician and a deeply troubled man. This poignant documentary takes us on a journey through Cobain’s life until his tragic death aged just 27. Much, of course, has been said about Nirvana front-man, Kurt Cobain. Books have been written. Movies have been released. Despite this, the man himself remains illusive. Having become such a tragic icon, we can easily forget that Kurt Cobain was just a human being - albeit one with an extraordinary musical talent. Cobain: Montage Of Heck shows us Cobain the person - the son, the brother, the partner, the father. The documentary starts with Kurt’s mother, Wendy O'Connor. She tells us about Kurt's early life and suggests that her divorce from his father, Don Cobain, was the trigger that caused him to go off the rails. However, the film also shows us how Kurt was a difficult child even before his family was fractured. Wendy talks about his hyperactivity and the suggestion, by his doctor, that medication was a solution - a powerful and poignant moment in the film. The drugs didn't work and Kurt only became more difficult to live with. He was shuttled between his mother, his father and stepmother and his grandparents. Sadly, this only increased Kurt’s feelings of isolation, self-loathing and depression. I was so impressed by the access director, Brett Morgen, has in this film. He talks to all of the key people in Kurt's life - his parents and stepmother, his former girlfriend, his Nirvana band mates and, most interestingly, Courtney Love. I started to get a real insight into Kurt - what inspired him and what drove him towards drug addiction. Cobain: Montage Of Heck also features fascinating extracts from Kurt's diaries and notebooks. Through these, we understand how lost and alone Kurt was a teenager and how he found refuge in music. We then see how he formed his band and developed his lyrics. Morgen makes effective use of home videos to tell Kurt's story. These form some of the most poignant parts of the documentary - particularly the footage of Kurt and his baby daughter, Frances Bean. These visual elements are then inter-cut with animated scenes - either carton-style animation (see image above) or the animation of Kurt's writing and doodles. I understood this to be Morgen's way of bringing Kurt's creative genius to life. And, for the most part, it works. However, there were parts of the film when its visual style felt disjointed and jarring. Perhaps this was the point, but it all felt too much at times. While I enjoyed Cobain: Montage Of Heck for its insight into Kurt and his remarkable career, I couldn't, of course, escape the feeling of dread as I watched him battle his inner demons. Despite his success with Nirvana, he retained a deep sense of self loathing. He chose to escape this feeling by taking drugs. Courtney Love has often been demonised for Kurt's drug addiction. In the film, she talks candidly about their marriage, about the drugs and about the truly nightmarish media reaction to the birth of Frances Bean. While theirs was a mutually unhealthy partnership, it is clear that they loved one another and were, for a time, a family. Through home videos and diary excerpts, we see that Kurt had finally found something to live for in his baby daughter. But he just couldn't find the strength to stay clean. It is truly heartbreaking to watch. The last act of Cobain: Montage Of Heck shows us how Kurt's life started to spiral down and down - and then, tragically, he was gone. Montage Of Heck is a collage that Cobain created with a 4-track cassette recorder in approximately 1988. France Bean worked as an executive producer on the documentary. She has said that, while she didn't know her father, she believes that he would have been proud of this film. 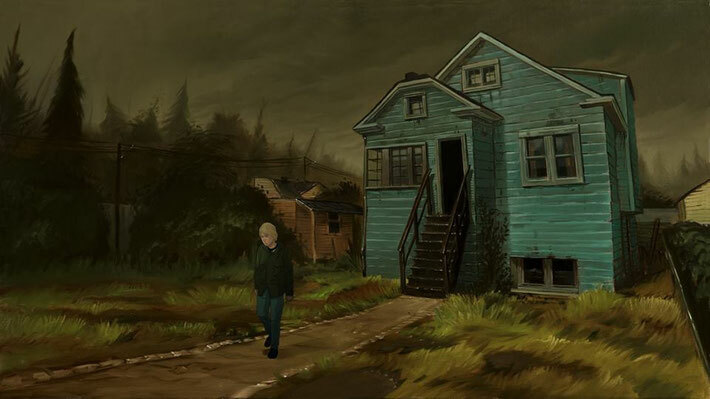 Have you seen Cobain: Montage Of Heck? If you have, I'd love to know what you think of this documentary. Why not leave me a comment in the box below!